You work hard for your money! Don't let someone steal it from you along with your identity. 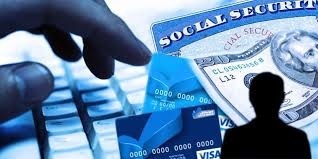 Identity theft is one of the fastest growing crimes in the United States today. The Federal Trade Commission (FTC) estimates that as many as 9 million Americans have had their identities stolen each year.In this day and age, protecting yourself from identity theft is more important than ever. But how do you know if your identity has been stolen? Know the signs and protect yourself. - A creditor informs you of an application for credit in your name and Social Security number that you never made, or that you’ve been approved or denied credit for which you never applied. - You receive statements or bills for any type of credit, utility or other accounts in your name and address for which you never applied. - A collection agency contacts you to collect on delinquent accounts that you never opened and never authorized. - Unfamiliar charges on account statements, including your bank accounts, credit cards, loans, mortgage, calling card, utilities, other established credit or billing account statements. - Your bank sends you an automatic insufficient funds notice or an overdraft funds transfer notice when you should have sufficient funds in your account for all debits, checks and payments you’ve made. - An unusual or unexplained notice from a government agency, or state, county or federal tax notices may indicate your information was used to commit fraud involving a government agency, a federal or state assistance program or taxes. - A visit from a police officer involving a criminal investigation or a warrant for your arrest for something you didn’t do. - Service of summons to appear in court or lawsuits for actions you know nothing about. - The amount of mail you typically receive is suddenly significantly reduced without explanation, or specific bills, documents or account statements are not received. - An automatic credit report alert or your regular annual check of your credit reports informs you of recent negative changes in your credit report, unfamiliar account or unexpected credit activity. - Check your credit reports annually to identify problems, errors or possible identity theft. - Check all of your credit card and bank statements monthly or more often for any errors or unauthorized purchases. Even if you still have your card, your account number may have been stolen. - You don’t have to wait for your monthly statements to come in the mail. You can check your financial account statements more often online or via automated phone customer services. - Check all of your bills and receipts including utility bills, mortgage statements, subscription renewals and even purchase receipts to make sure that all charges are correct and were authorized by you. - Look for monthly billing or other account statements, credit card replacements or other expected communications from your creditors or bank. Make a note to yourself about when credit or debit card replacements should arrive. - When you apply for a new credit or debit card, ask when you should expect to receive your card and contact the card issuer if it does not arrive. - If a credit or debit card is lost (or maybe stolen), if errors appear on your statements, or if you don't receive your monthly billing, account statements or other expected communications from your service providers, notify the company immediately. - Report missing mail to your local post office or the Postal Inspector. U.S. Post Office and Postal Inspector contact information is available in the “Important Contact Information” section at the end of this book. - If you think you’ve become a victim of identity theft, take action quickly to determine the extent of the problem and reduce the damage that the identity thief can do.